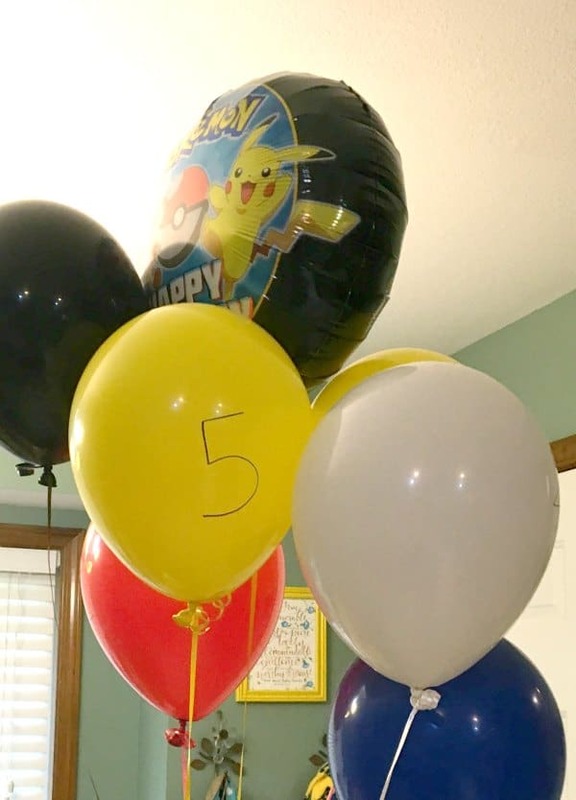 For my son’s Pokemon birthday party, I tried out lots of ideas to see what would be a hit or a miss. 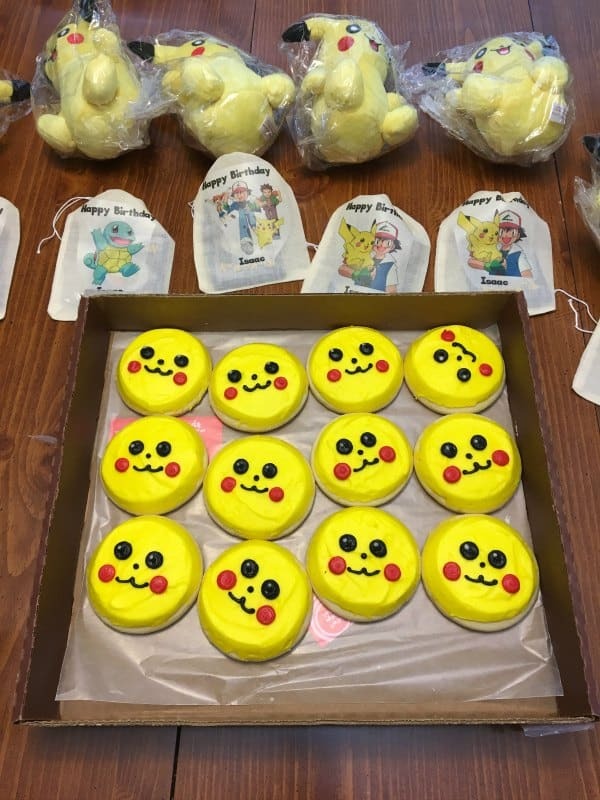 For your child’s Pokemon birthday party, check out how these ideas scored. 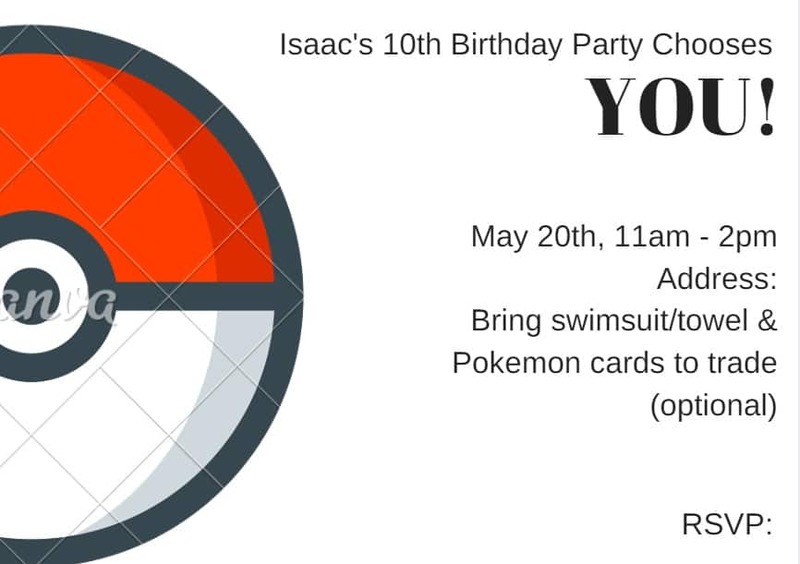 For my son’s 10th birthday party I threw him a Pokemon birthday party. I tried out lots of ideas (some even before the party) to see at the end what would comprise of a Pokemon birthday party hits and misses. This party took a few months’ worths of research because I could not wrap my mind around the whole concept of what Pokémon was. I spent time with son, 10 minutes every day playing Pokémon Go learning what these characters do so I could have activities that make sense. In the end, I never did understand what Pokemon is all about. 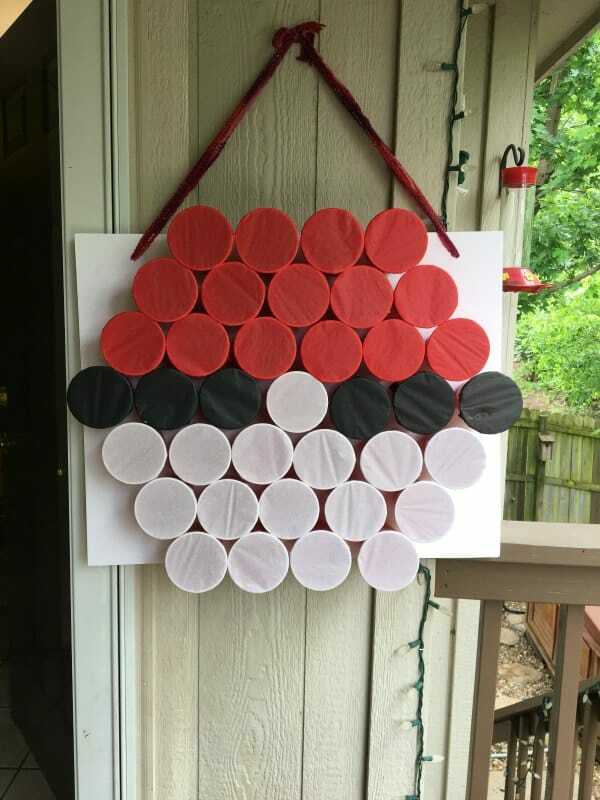 Instead, I gathered some random ideas by searching for Pokemon Birthday Party on Pinterest and kept the theme looking like a Pokéball. Here is what worked (HIT) and what I wouldn’t bother doing again (MISS). I designed the birthday invitations with Canva. It cost me $1 to download the image, to remove the watermark, then I sent them to Walgreens to print. This was a hit for me because I thought it was fun, but a miss overall because the kids didn’t care about it. Popping Ballons for Each Activity = HIT! There were six balloons with a different time marking when the balloon would be popped. Inside the balloon would be a piece of paper announcing the next activity. I do this for almost every birthday party, so I knew this would be popular with the boys and it was! They had fun trying to see how they could pop the balloon each time. The first balloon announced Pokémon charades. I tested a few out on my son before his party to make sure he would like them because I didn’t understand what they meant. The cards read like “Do a high kick like Blaziken”. My son had such a good laugh when I tried pronouncing the names of the Pokémon characters. So on the actual day of his party, I let his friends take turns reading the charades for each other. 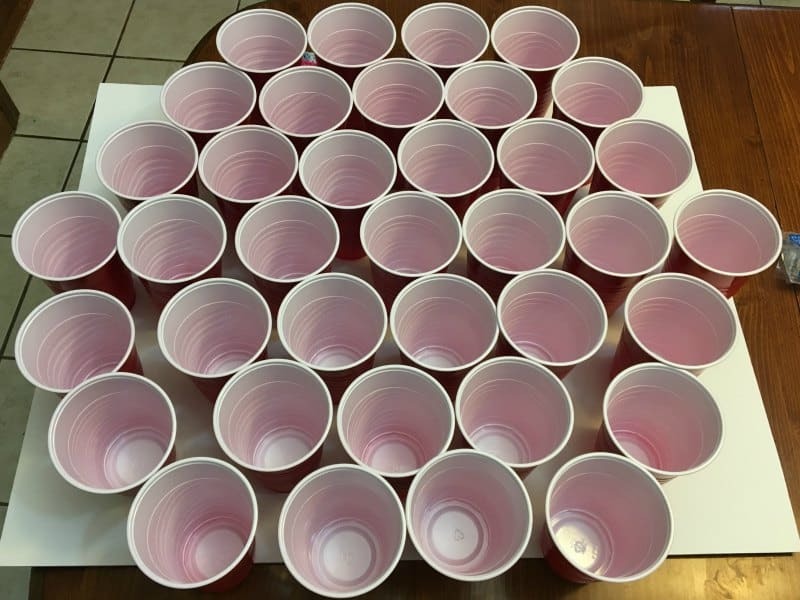 This was a good activity to do at the beginning while late friends arrived since kids could join in anytime. Pokeball Punch Game = HIT! Balloon number two was the highlight of the party! And the most labor intensive. 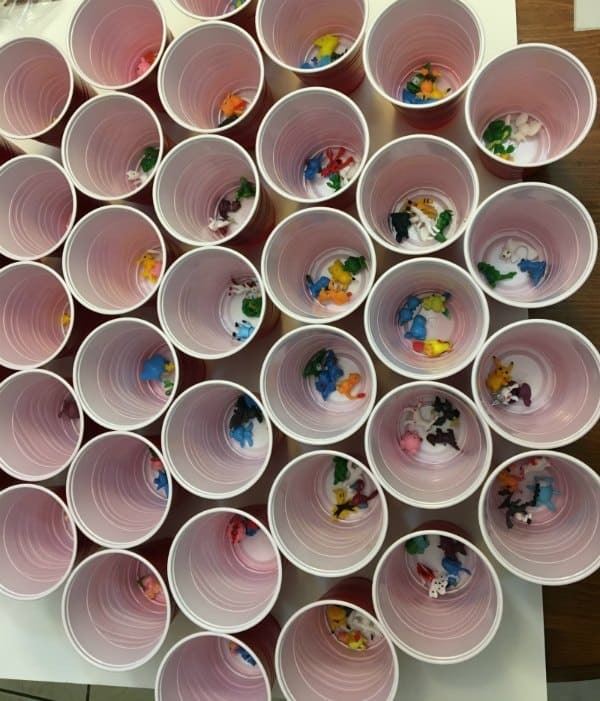 I ordered a mini-Pokémon figurine set and placed them into a homemade punch game. It took about 1.5 hours to make the punch game, but I was so glad that I did it. It was worth it. The boys absolutely loved it. The boys absolutely loved getting the figurines. I was worried about that because the figurines were generic, but the boys could figure out who they are supposed to be, and they even traded the figurines. • Hot glue – a lot! 1. 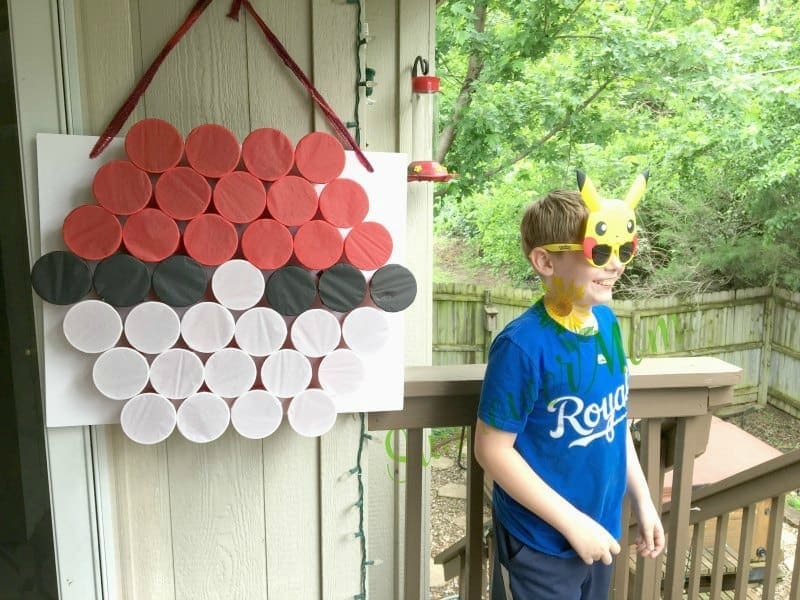 Make an image of the Pokéball on the foam board. 2. Put all of the figurines inside as evenly as possible. 3. 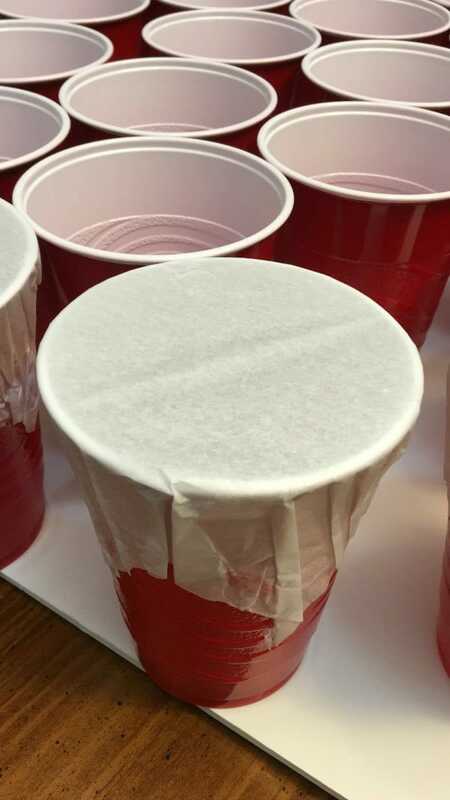 Cut the tissue paper just long enough to cover the cup. 4. Hot Glue the outside of the tissue paper to the cups. I wanted the tissue paper to stay firm, so I decided to use hot glue instead of rubber bands. 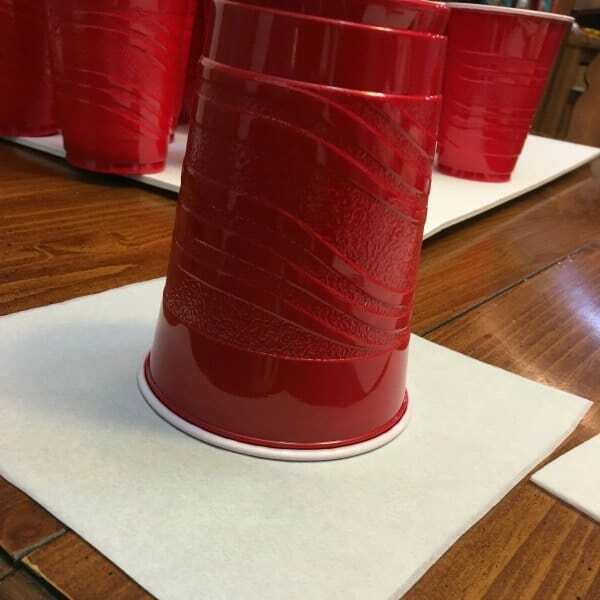 I was afraid the rubber bands would fly off on the kids when they punched the cups. This used a lot of hot glue. Since you are gluing just one thin piece of tissue paper chances are, you’ll get burned a bit. I’m pretty used to it but fair warning! 5. Once all the tissue paper is on, begin gluing onto the foam board. The cups stay very well. I was worried at first due to the extra weight of the figurines and when it was hanging on the wall but no reason to be. Balloon Three was time to eat. I served a Pokéball themed lunch. This was the one thing I wouldn’t bother doing if I did this all over again. Honestly, the kids would have been happier and probably would have eaten more if I would have served regular food. They were simply hungry and didn’t even notice that any of it looked Pokémon themed and as a result, I don’t think they liked some of the food as much. The food included a pizza with cheese on one side, pepperoni on the other and black olives in the center. A side dish Pokéball was served with cubed mozzarella cheese on one side, grapes/strawberries on the other and black olives in the center. Mini Pikachu Treats were served but no one wanted any. They may not have looked quite as good as the idea I found here but the kids didn’t know that. If you want to make these treats, it’s as simple as it looks! 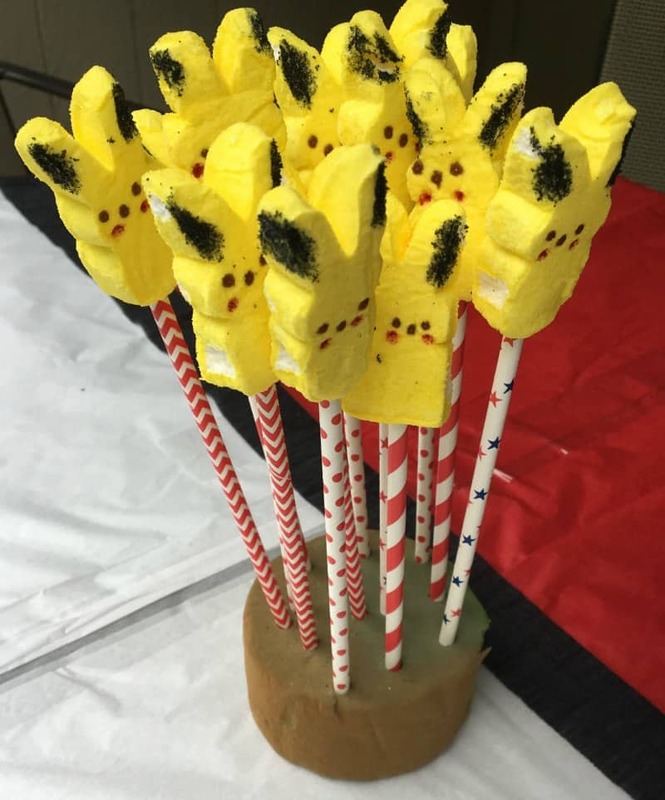 I saved some Peeps from Easter. Then bought some Edible Color Markers and fun straws. That’s about it! 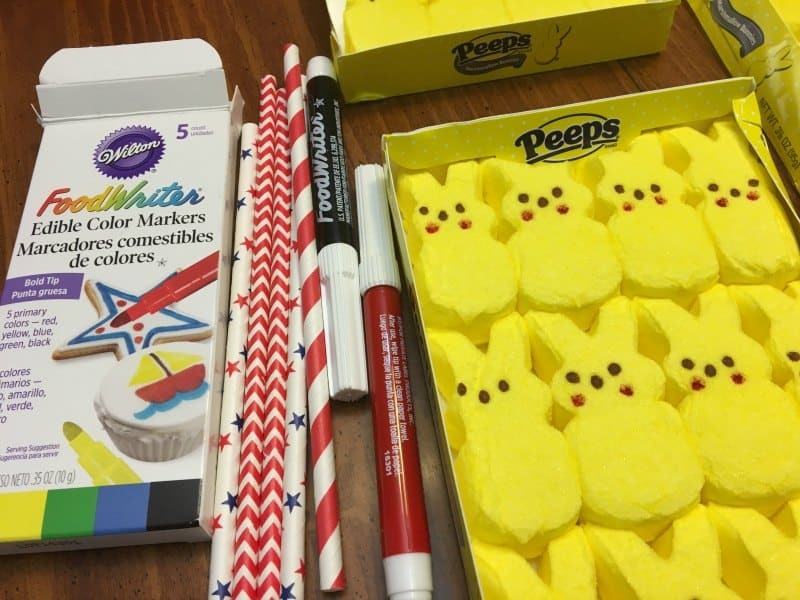 Hint: buy extra Peeps. About half of them will come apart looking funny or will come out of the package having funny looking eyes and noses. You won’t be able to draw cheeks or ears. You will throw a lot away (or eat them) as you go! Pokemon Treat Bags = HIT! Balloon four was presents and cookies in lieu of cake. We hired someone to make the cookies and they were a hit! Balloon five gave the boys 10 minutes to find Pokeballs hidden in the backyard. I tried and failed to make ping-pong balls into Pokeballs and decided to just buy a pack of red ping pong balls and call them Pokeballs. The boys didn’t care – they had a blast playing “Pokemon Go” and finding Pokeballs. I made a rule of no throwing the balls. Balloon six was Trade Pokémon cards. We had a small gift bag for each guest and inside were random Pokémon cards. Almost all of the guests brought cards to trade but now everyone had some to trade just in case. Although it was a Pokemon Birthday Party, the majority of the kids didn’t want to trade cards or even look at them. Only 2 or 3 boys wanted to do this. The kids actually were more into trading their figurines from the earlier punch game. All of these activities lasted the boys about 1.5 hours. I hoped it would take a full two hours but boys are always in a hurry. 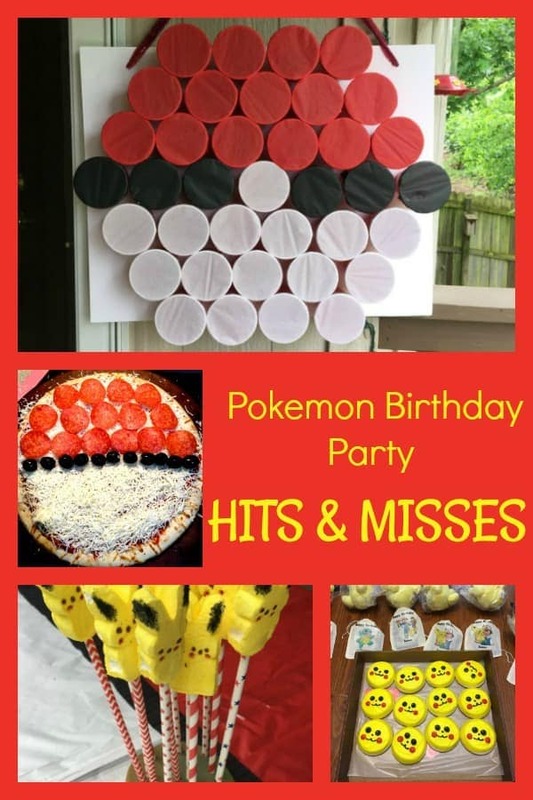 If you’re looking for more Pokémon birthday party inspiration, check out my Pinterest Birthday Party Board. It’s full of Pokémon ideas. Jennifer, this looks like a really fun party. 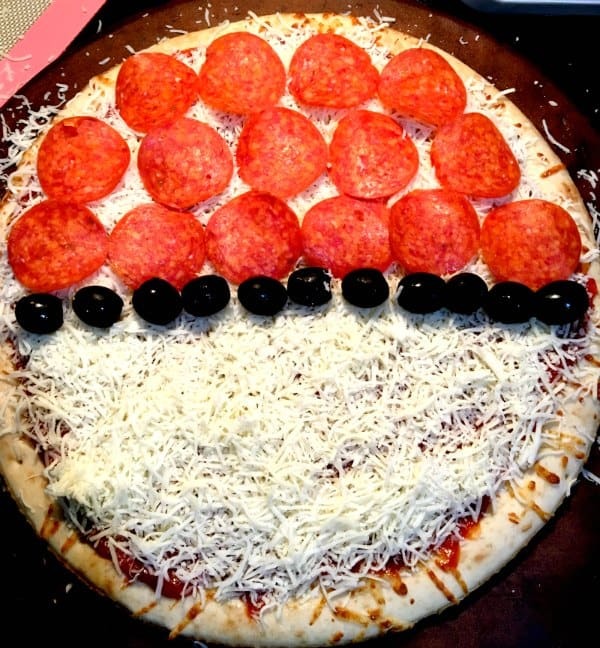 I have made valentine and Christmas tree pizzas, but never a Pokemon pizza. Happy I found this as I’m trying to put together a Pokémon party for my ten year old! Great advice and ideas! Thanks! So many cute ideas! What were some of your Pokemon charade ideas? Thanks!